This post is sponsored by SPRYFIT. For our sponsored post policy, click here. A whopping 58 million people in the U.S. spend $58 per month for their gym membership — but 67 percent of them never go to the gym. If so, no shade here. We get it. As moms, we have so much to do and so much on our plates that making time for fitness isn’t just hard — it’s a motivational and logistical puzzle of to-do lists, schedules and calendars. Losing money is more motivational than receiving a cash reward when it comes to encouraging healthy habits (University of Pennsylvania). 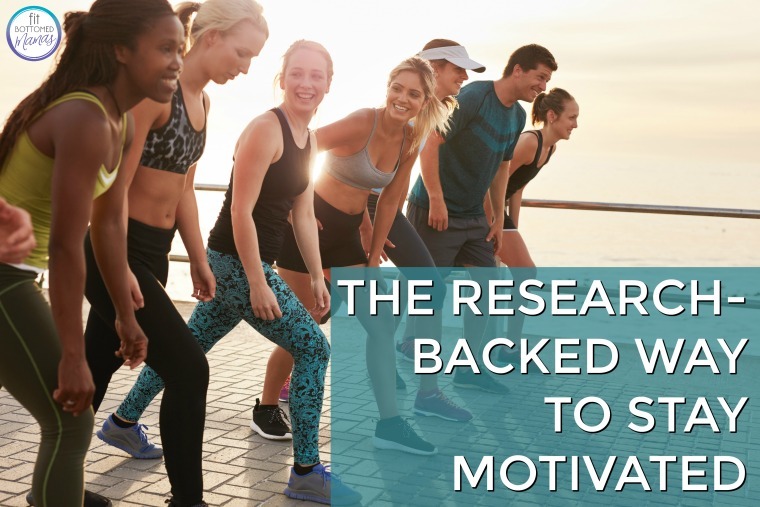 But how do you actually put that research to use, to get yourself moving more and feeling pumped to do so? We’ve got that answer, too: SPRYFIT! This reward-based fitness game app lets you use this research and bet on yourself — in a really fun way. With SPRYFIT, you pay an entry fee as pretty much a buy-in and motivator to work out. Then, when you hit your goals (like getting 10K steps a day for three weeks), you not only get your entry fee back, but you can also earn extra cash from folks who didn’t meet their goal (and, although we’d never wish that on anyone, it does keep the competitiveness of the game alive in the app and it definitely helps you make time to move!). And, mamas, no matter your fitness level, SPRYFIT has a goal for you. Right now they’ve got walking/steps challenges, but soon they’ll be adding running and cycling challenges (yay!). If you need even more convincing beyond the research on motivation, how about the fact that according to the users’ data, SPRYFIT users have much higher success rate in achieving their goals when compared to other fitness apps?